When space is premium at the helm, a compact entertainment solution is needed to blend performance and subtlety. There's no room for compromise, because every boat needs a FUSION beat. 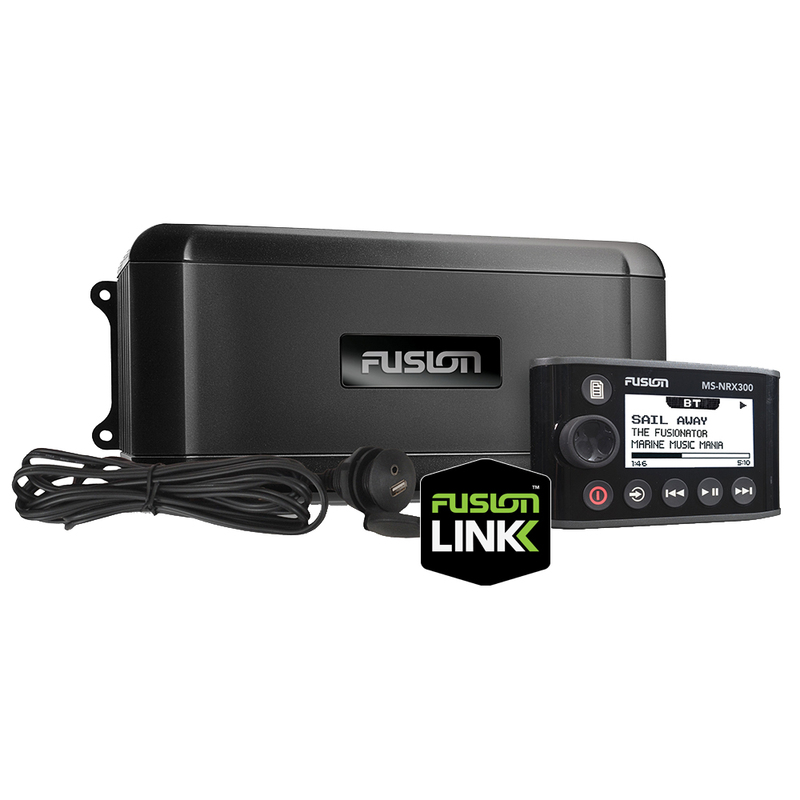 Introducing the full featured Black Box Entertainment System MS-BB300; with FUSION-Link™ via NMEA 2000 control, Bluetooth audio streaming and Multi-Zone™ technology. The MS-BB300 is a true "plug and play", compact entertainment powerhouse, which is compatible with the world's leading Multi-Function Displays for intuitive True-Marine™ audio playback and easy, total control. Included with this product is a MS-NRX300 Wired Remote Control for intuitive system navigation, featuring a large LCD display and easy scroll rotary encoder, for a familiar FUSION True-Marine™ experience. Also included is a combined 3.5mm and USB auxiliary pannel mount connector for easy integration of supported devices.